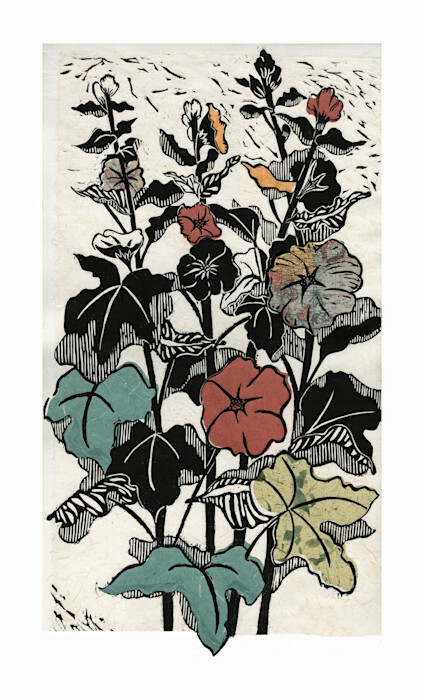 Hollyhock 4, original and artprints for sale| Ouida Touchon. Fine Art original woodcut with chine colle technique. Archival papers, fragments of world map, and Japanese papers on a base sheet of acid free BFK paper. Size of image is 16x28". Use code 'originalart' at check out for free shipping from my studio. It will be packed carefully in a flat box and shipped FedEx ground. Hollyhocks from my garden! 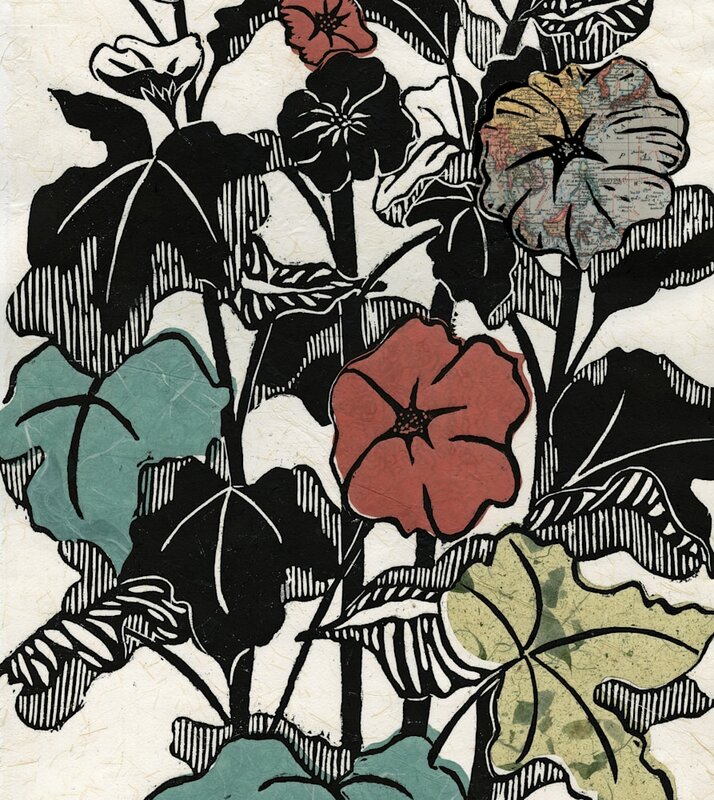 This is an original artwork using collaged papers in the chine colle technique and a woodcut print in black. Available as an original work of art as well as archival reproduction in a variety of media and sizes. Use code 'originalart' for free shipping of original artwork on check out. Original artwork will be shipped from my studio in New Mexico.